A 2-week fundraiser powered by the Boosterthon! Instead of selling items, families will gather pledges to help your school, while students experience a world-class character program and participate in the St Ignatius Fun Run. 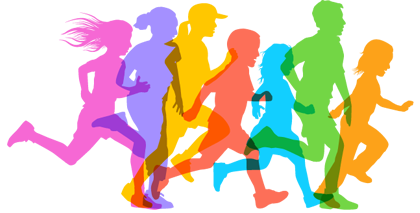 Most students will complete 30-35 laps at the Fun Run event. The SI Parent Club would like to give a big THANK YOU to our co-chairs of the Fun Run (aka Jog-a-thon) fundraiser…Sarah Clough & Amy Behr! Since the construction of the new school started we have not had our annual Spirit Day fundraiser. Seeing a need these ladies stepped up to fill the gap. Then the kids and this amazing community RANG the bell! What a great day of healthy fun! A big thanks to all our volunteers who helped with the event. The Parent Club would also like to thank our generous sponsors and supporters! Huge congrats to all of our runners today. We reached our goal and had a great time doing it! Big thanks to our wonderful community. Goooo Tigers!